SAN DIEGO (15 December 2016) – San Diego Experience Design firm DDSTUDIO has been recognized by GOOD DESIGN® for design excellence that goes beyond the product by looking at the human experience. Three innovations representing a diverse community were each awarded a 2016 GOOD DESIGN® Award: SGI-DNA’s BioXP 3200 System, Orison Tower and Orison Panel, and the Hoist Mi6 Home Gym. The GOOD DESIGN Awards showcase the Experience Design process applied to each DDSTUDIO collaboration that puts the human experience front and center. DDSTUDIO approaches each client challenge from the ground, applying tools from Design Thinking and Lean Start-Up techniques to quickly originate concepts, user-test, iterate and refine. 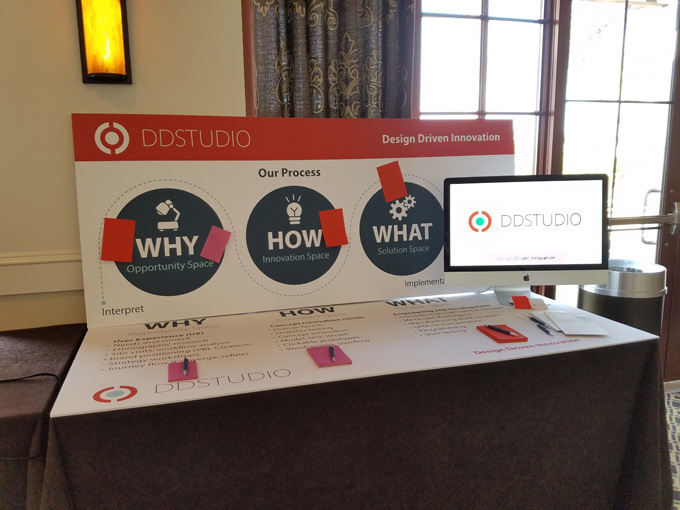 The DDSTUDIO process reveals human behavior and emotion then integrates context and workflow into the product/service journey to create outstanding experiences. Synthetic Genomics commercialized DNA division sought to democratize the gene assembly process, allowing labs to build their own genes de novo in-house. 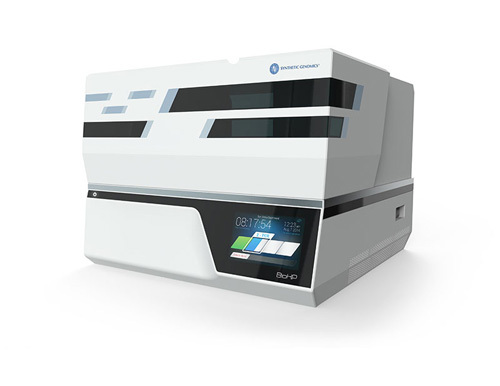 The ground-breaking result was the BioXp™ 3200 System, the world’s first DNA printer, a machine allowing any biotechnology company or academic laboratory to create genes on their benchtop hands-free, starting with electronically transmitted sequence data. Read more about this award. Orison Energy’s Tower and Panel Store energy and intelligently power a home or business with the first ever plug-and-play solution. Whether energy comes from the grid or solar, users can control when to store it and when to use it. Orison Founder and CEO Eric Clifton was keenly focused on the human aspect for his revolutionary battery energy storage solution and asked DDSTUDIO to help him bring that vision to life. The result is the first home battery system that simply plugs in and stores energy that can be used later for less cost. Read more about this award. Hoist and DDSTUDIO have collaborated on many commercial and consumer fitness products for more than 15 years. The Hoist Mi6 Home Gym, represents the innovation excellence, aesthetic appeal and quality that today’s consumers demand for in-home products. This gym provides a complete range of functional training exercises designed to obtain maximum results and achieve a strong and versatile body. The Mi6 is engineered to build multiple muscle groups through smooth, rhythmic, and continuous movements that support the body as it moves through life. Read more about this award. Founded in Chicago in 1950, GOOD DESIGN® remains the oldest, prestigious, and most recognized program for design excellence worldwide. GOOD DESIGN is presented by The Chicago Athenaeum, together with The European Centre for Architecture Art Design and Urban Studies as the foremost program that honor and recognizes the best design talent and the best manufacturing worldwide. Winning products and graphics for 2016 can be viewed at the Museum’s website at www.chi-athenaeum.org and www.europeanarch.eu. Medical devices are becoming a part of our everyday lives, whether to monitor, diagnose, or predict the likelihood of a disease or illness, or prevent it through healthy habits. To serve the growing number of device designers, engineers, and manufacturers in the San Diego region, BIOCOM held its annual Medical Device and Diagnostics Conference, DeviceFest 2016 on August 30 at the Sheraton Carlsbad Resort & Spa. DDSTUDIO was privileged to be entrusted with the “wake-up” after lunch session. Standing out amongst weighty sessions on regulatory issues, funding vehicles and digital health technologies, Charles Curbbun and Tracy Manning led a spirited discussion on human-centered design that reminded conference attendees about the needs of the real people who use medical devices and technologies and depend on them for a healthy life. Human Centered Design and Design Thinking in the Medical Device Development Process drive a higher return on investment. Design Thinking makes a device easier to use and more efficient. At least as important as the greater efficiency and efficacy, are the intangibles that drive acceptance. People interact better with devices they want to use and feel comfortable using. Design Thinking in medical device development places a priority on the interaction of an individual with the device. 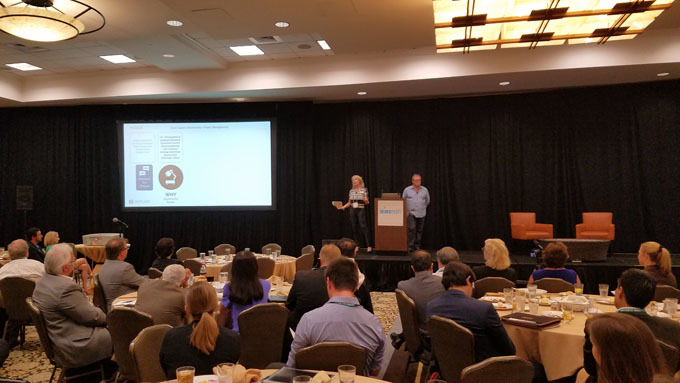 The presentation included several successful development projects with leading device manufacturers such as TrueMed and Synthetic Genomics, and showed how product teams effectively incorporated the Design Thinking Process in their commercialization roadmaps. Another important consideration is product esthetic. Medical device companies can be well ahead of the competition in technology and lose the battle in the market if they don’t delight the consumer. Consumers are used to the slick feel and functionality of smartphones, and they don’t tolerate anything less from state-of-the-art medical equipment. Meeting this demand requires a deep understanding of the user journey. Using ethnographic research, designers observe users in their environment to gain empathy and discover unmet needs and opportunities. Startups should consider and invest time in Design Thinking activities even during the Minimum Viable Product (MVP) phase of development. An MVP may do only few things, but it needs to do them very well, so the user is delighted. Otherwise a startup can spend all of its resources chasing user experience issues during the early development phase and there will be low adoption. Charles spoke from experience when he explained to the audience that they used to approach design programs by thinking about what they wanted to start off with, doing that, then justifying what they had done with research. Today, with Design Thinking and involving the user in the design process, there are more predictable outcomes. Wrapping up the presentation, Charles and Tracy emphasized the urgency of adopting critical Design Thinking into the design process whether for medical devices or any other products. “We [Users] are much less patient now when something doesn’t respond” said Charles. The continuing escalation in user expectations creates a market environment where companies that invest in design will win in the market. 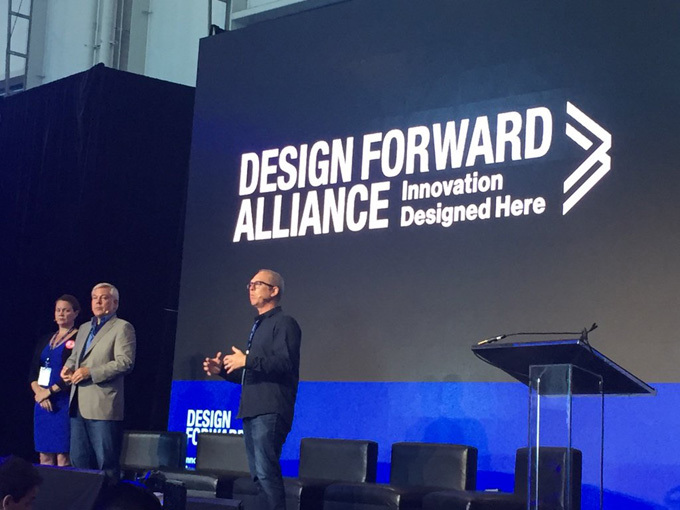 DDStudio, a leader in human-centered design excellence announced a major expansion of the company’s commitment to the human experience in design with the engagement of Milt Halsted. Milt will head DDStudio’s outreach program to design-focused product-driven companies striving to gain competitive strength through user-centric product design that is elegant as well as functional and in full compliance with applicable regulatory requirements. DDStudio is a pet-friendly work environment. Milt’s two collies Cherokee & Lakota will also be joining our family. Here at DDStudio we participated in several Startup Week San Diego events last week. Those conversations are recapped here. It takes a bold will and determination to lift your idea off the ground and fight for it from conception to reality. The best way to ensure success that is embraced by your users is to leverage Design Thinking at each stage of your development. Design Thinking is the fundamental process in which business practices and endeavors are approached through a human-centered mindset; new concepts and products are filtered through the acknowledgement of what people want and need while simultaneously applying your company’s innovative toolkit to develop this new technology that can meet these socially responsible requests. By understanding the emotional expectations and desires fueling the consumer or customer, you can guarantee your business has a market and a thoughtful purpose. Before kicking off a project you want to ask tough questions to ensure that entrepreneurs understand their customer, market, cultural and technological trends and the big “WHY” when committing to their product realization journey. Accessing design thinking will assist in the understanding of what societal issues your products are considering to help, and in what ways they may be directly approached within your business. You must agree on who the audience is and to prioritize the project within a reasonable time frame of social progress. Review the history of the product’s market, and move forward considering the modern AND future of the market for PEOPLE and what they wish to see changed or resolved. Don’t judge or debate ideas within the mindscape of your market’s typical approach. Think within a completely societal and functional context. Leverage strategic input in understanding your audience and what they may possibly want for innovative improvement to daily life. An opportunity assessment should include: Stakeholder Workshops, ethnographic research, empathy mapping, journey / experience mapping, market positioning, technology positioning, business model simulation. These tools are choreographed to achieve several important tasks including team alignment, prioritized objectives, market awareness and ultimately determining customer empathy and emotional drive. You must identify the motivations of your end-users, and begin generating as many ideas as possible to identify these desires. 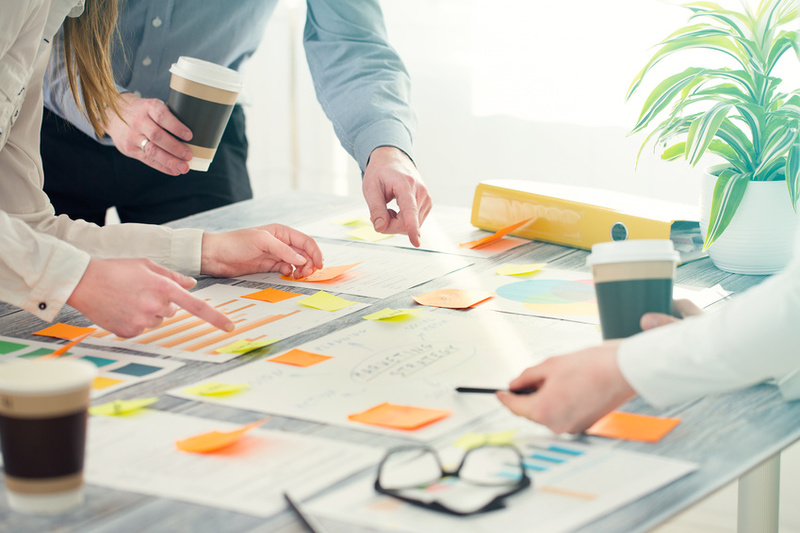 As your business transitions into the innovation and growth stages, the creative juices really start flowing and your team begins to implement concepts into the first phases of tangible mockups. This is where you combine, expand, and elaborate on all your team’s ideas. Design thinking will ensure you reach human based conclusions. The most practical ideas aren’t always the best, as a market practicality is usually BUSINESS oriented thinking, which often doesn’t include human oriented solutions. Build these tools into your Design Thinking: sketches, CAD, wireframes, user flow, visuals, mock-ups, feedback loops/iteration. As mockups come together, you move closer to a finalized product stage, in which the hands-on implementation comes together. Soon that brilliant, finalized concept comes together that will launch your startup into the world of market players. Within the implementation phase, concepts are refined, engineered, prototyped and prepped for low quantity/ scaled manufacturing (hardware). After all the essential prepwork, your prototype can eventually move to production. Design thinking will ensure you gather crucial initial feedback from potential consumers, and determine if your solutions are meeting their goals. There is always room for fine –tuning, especially when you know the ins and outs of your human-centered conclusions. DDStudio’s nimble culture and proven process compliments the spirited resilience of entrepreneurs. In determining the best strategy to grow your company from startup to success, you can trust our track record of providing superior design and engineering innovation at a level that leverages the combined team talent and turns dreams into a reality. We’re all a part of the design world, looking to push the bounds the product possibilities. SAN DIEGO (June 16) – DDSTUDIO, Southern California’s premier product design and development firm for 30 years, is pleased to announce that David Glazier has been appointed Director of UX Design and Strategy. Glazier is a user experience expert who has worked for top brands including IDEO, Intuit and Fuseproject. Previously Glazier was senior interaction designer at Inuit, and held positions in UX strategy and sound design for IDEO, Fuseproject, Google Creative Lab, OUYA and Razorfish. David is an avid cyclist and lives in La Jolla with his wife and young daughter. The 2016 San Diego Startup Week (SDSW) brings fresh focus to the importance of human-centric Design Thinking for growing a successful company. Human-centric Design Thinking is an integral part of the innovation process, from the Minimum Viable Product (MVP) phase through funding, early growth and maturity. Early users will accept limited functionality if the product provides real and unique value. But these same early adopter users have limited patience for a bad user interface or poor customer experience. Infusing human-centric Design Thinking into the early design is necessary to keep the users engaged until they understand the product’s value to them. In presenting the value of the product to the User in a way that can be understood and appreciated, Design builds value into the product. Critical Design Thinking adds value to the user experience physically, emotionally and aesthetically. Understanding the User’s perspective at the moment in which an interaction occurs is fundamental, and can only be realized by observation and then analysis to discover those common patterns that exist in all experiences. It is the mission of Designers to extract those fundamental needs for the user experience and ensure that the product or venue meets and serves those needs. DDSTUDIO focuses on the phase following the first implementation of an idea, when value has been achieved and a rigorous and disciplined design process is necessary to perfect the brand identity of a product for presentation to a larger audience. We are pleased to support our San Diego Community during Startup Week. Please join us this Thursday 16 June for the Design Forward San Diego Summit. We will be supporting the research and design salons, bringing our expert designers to help companies understand the importance of early design focus and a long term commitment to human-centric Design Thinking. Our CEO and Chief, Charles Curbbun, recently taught a ten-week course on furniture design at the Domas Academy School of Design. It was an instructional course in furniture design and development, with a focus on the physical and emotional interaction between a specific furniture piece and its surrounding space. Charles also dove deep into the interpersonal relationships between client and designer that facilitate the accuracy and quality desired by each party. Charles encouraged his students to be bold and creative in order to establish “a faucet of unrestricted ideas, then a funnel of interpreted concepts.” The focus was on capturing creativity within a defined process, and applying design thinking and creativity to assessing the desired emotional response the piece was to evoke from within the space. Each student took turns playing the role of “Client and Designer,” with the goal being to work together in order to guide the designer to a new and relevant idea/experience/seat that WOWs the client. Each student acting as a Client shared about their lives and personal creative preferences such as their favorite architect, designer, and other life inspirations. Students acting as a Designer then developed a storyline derived from the Client’s input as a basis for their Design’s aesthetic direction and style. They achieved a working concept quickly, but found that it was only with sustained personal development that they could define the final product/experience. The process was driven by a dedication to constant client interaction and finding solutions from asking the right questions and understanding how to translate the client’s thoughts to a three-dimensional piece. The process had its struggles, but nothing dedication couldn’t overcome. “The tough part was making full size mockups, but this was also the way we grew as designers,” said Charles. Charles wanted his students to free their minds, as he preaches to his team at DDSTUDIO, in order to open the door to a full spectrum of thought processes, from hands-on analytics to emotional intuition. The Designer was to build confidence through trial and error, and the willingness to fully grasp the Client’s tentative idea. Steady improvement came from multiple sketch attempts, in which the Designer would then present and explain his or her take on why the design fits the Client’s briefs. Through this channel of discussion, the Designers learned how to effectively communicate and utilize feedback for momentum moving forward. The goal was to always demonstrate that a great designer balances the potential product’s form, function, and style with the essence of the Client’s suggestions. The design must capture and transcend the Client’s experience, using their ideas to develop a product they always wanted but didn’t exactly know how to describe; to bring to life what they felt but couldn’t see themselves. Any specific design inherently elicits a certain behavioral reaction, whether it’s an emotional pull of a unique design or the physical feeling one gets when sitting on the furniture. The students came to understand that all designs have a certain power within their space. This is why the client’s recommendations of their favorite designers were key to setting the defined limits for the students to work in. Creativity comes from limits, especially for the physical manifestations of furniture, as a designer must engage with every aspect of a set space to understand how a certain piece when added to this space may affect behavioral change. Ultimately, Charles was personally impressed by the students’ content and quality of work, along with their dedication to actualize their ideas into tangible mockups. The students that excelled had similar aesthetic interests that generated a naturally productive designer/client relationship. Designer Matthew Padilla teamed up with client Quynn Dang to create a project titled “Embrace.” The plot was a “seat for a sophisticated lover of life” that would demonstrate “a kinetic approach to sculptural seating.” Padilla found inspiration in the passion derived from Dang’s Vietnamese roots. “Unpretentious, humble, and pure in manner, her perspective of the deep qualities of existing, form an absolutely holistic witness who pursues only the most elusive of the natural,” said Padilla. Another impressive piece came from designer Carlos Gonzales and his project titled “El Presidente.” The inspiration for the plot was “a lounge for the master of political media” demonstrating a “flowing update on LaChaise.” Gonzales worked with Marcelo Kertesz as his client, whose fellow sense of humor really drove the process. “My client is Marcelo- a man with goals…Always willing to learn and achieve, his main goal is to DO NOTHING,” said Padilla. With this, Padilla set out to create the perfect chair to embrace the art of doing nothing, working with the dark and elegant Brazilian Ironwood, which was crafted to perfection in a CNC machine. The dedication to every aspect of the design process resulted in these unique and intriguing pieces, showcasing the power of combining personality and aesthetic, and finding creative authenticity derived from people’s lives. Charles is the founder of DDSTUDIO, Southern California’s premier experience design strategy and development firm. DDSTUDIO designs and builds beautiful and useful products for their clients that help revolutionize the look and feel of tomorrow. Charles holds numerous patents and awards related to his designs.